“Evolution” can mean a variety of things but the controversial schoolbook version enforced by the Darwin lobby is “evolution by natural selection.” It’s the one that there never seems to be enough evidence for too, mainly because too much weight is placed on it, more than any one theory could bear. Hey, if science fiction is real, there is a multiverse and somewhere out there is a universe where Darwinism is true. Natural selection: Could it be the single greatest idea ever invented? 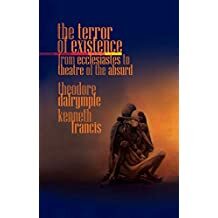 Hat tip: Ken Francis Francis is author, along with Theodore Dalrymple, of The Terror of Existence: From Ecclesiastes to Theatre of the Absurd.